The PRIME project targets at providing a solution for automatic generation of informative and personalized field video reports for future intelligent multiview environments, e.g. surveillance, which is supported by the MEXT Grant-in-Aid for Young Scientists (B) No.23700110 from year 2011 to 2014. In this page, we will record the whole research/ development progress of this project. Promotion Video for Innovation Japan 2013! 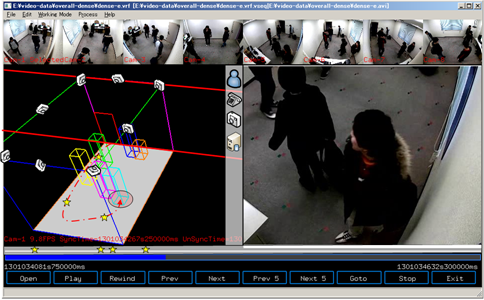 Here is A Multi-view Video Database we collected using a camera network installed inside JAIST. We will first start our research activities based on this database. Inquiry on the DB! Nov. 05, 2012: Check the first batch of results for the above subjective evaluation. 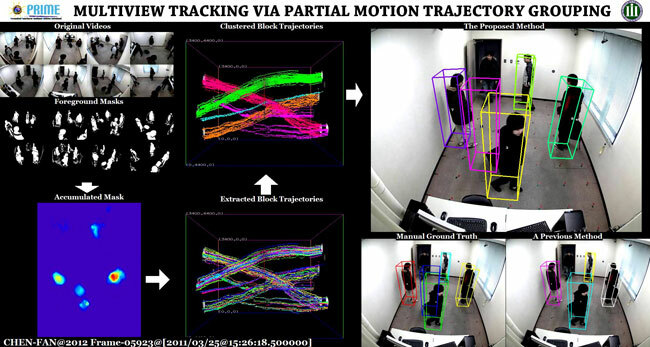 Jan. 21, 2013: Automatic Generation of Personalized Field Reports. m) F. Chen, C. De Vleeschouwer, and A.Cavallaro, "Resource Allocation for Personalized Video Summarization," IEEE Transactions on Multimedia, 16(2), pp.455-469, 2014.
l) T.T. Tran, F. Chen, K. Kotani and Bac Le Hoai, "Extraction of Discriminative Patterns from Skeleton Sequences for Accurate Action Recognition," Fundamenta Informaticae, (Accepted), 2013.
k) T.T. Tran, F. Chen, K. Kotani and Bac Le Hoai, "An Apriori-like Algorithm for Automatic Extraction of the Common Action Characteristics," The IEEE Visual Communications and Image Processing (VCIP) 2013,(Accepted) 2013.
j) F. Chen, "Multi-sensored Vision for Autonomous Production of Personalized Video Content," Malaysia-Japan Workshop for Advanced Technology in Information and Knowledge, June. 2013.
i) F. Chen, and C. De Vleeschouwer, Â”Personalized Summarization of Broadcasted Soccer Videos with Adaptive Fast-forwarding,Â” 5th International Conference on Intelligent Technologies for Interactive Entertainment (INTETAIN) 2013, 2013.
h) F. Chen, "Hot-spot Detection by Group Interaction Extraction from Trajectories," The 22nd IEEE International Symposium on Robot and Human Interactive Communication (RO-MAN) 2013, Paper 66. 2013.
f) Thang Tran Thanh, F. Chen, K. Kotani and Bac Le Hoai, "Automatic Extraction of Common Action Characteristics," ISSPIT 2012, 2012.
e) F. Chen and C. De Vleeschouwer, "Partial Motion Trajectory Grouping Through Rooted Arborescence," ICIP 2012, Paper 2511. 2012.
d) T.T. 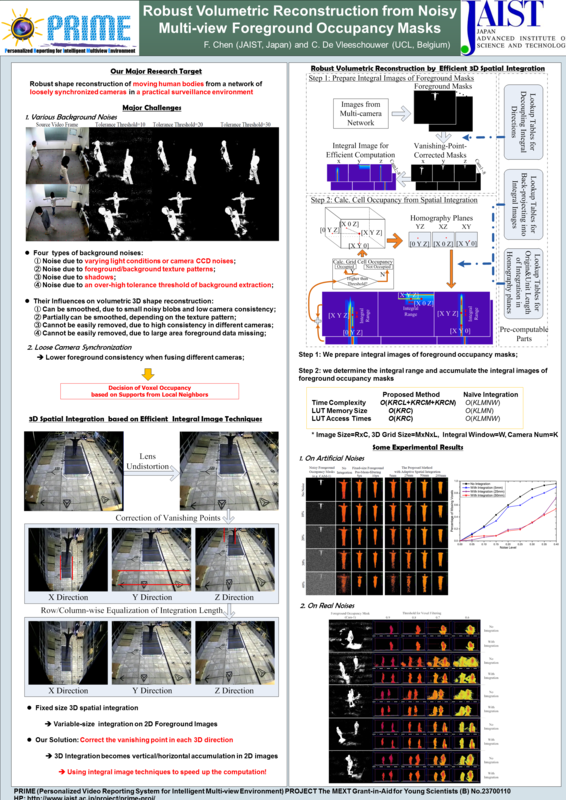 Tran, F. Chen, K. Kotani and Bac Le Hoai, "Extraction of Discriminative Patterns from Skeleton Sequences for Human Action Recognition," RIVF 2012, Paper 41. 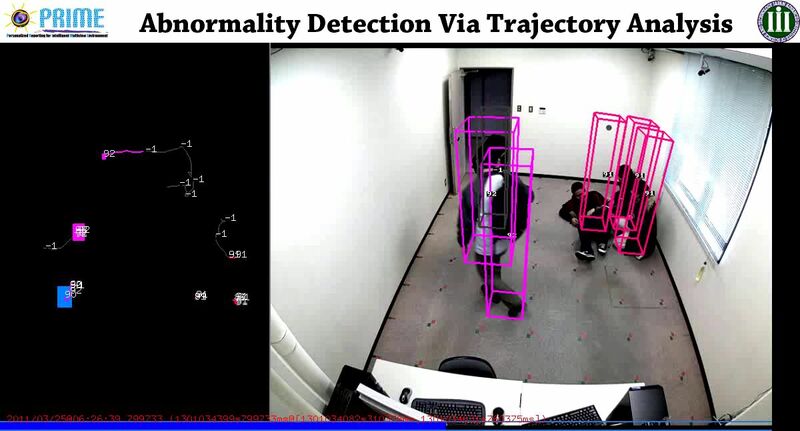 2012.
c) F. Chen, D. Delannay and C. De Vleeschouwer, "An autonomous framework to produce and distribute personalized team-sport video summaries: a basket-ball case study," IEEE Transcations on Multimedia, 13(6), pp.1381-1394, 2011.
a) F. Chen and C. De Vleeschouwer, "Automatic Summarization of Broadcasted Soccer Videos with Adaptive Fast-forwarding," Int'l Conf. on Multimedia & Expo(ICME) 2011, Paper No.300, 2011.
c) F. Chen, "監視システムにおける監視画像の統合、閲覧及び配信方法," Innovation Japan 2013, Aug.29-30, 2013.
b) F. Chen, "映像監視システム、映像処理サーバ及び監視映像の閲覧・配信方法 (A Video Surveillance System and A Method for Browsing and Broadcasting Video Content)," 特願2013-067773, Mar.28, 2013.
a) F. Chen, "異種端末向けの個人化ビデオ配信サービス," 北陸技術交流テクノフェア2011, Oct.20-21, 2011.